So, the festive season is upon us all. This means many things, most of them good. You get to spend time with family, and if you’re lucky you will be off work for a wee bit. However, with all the presents and food you need to purchase, you may find that finances get a little bit tight over this period. You will need to find ways in order to remedy this situation. But there are better ways to make money than selling your kidney or robbing banks. One method favoured by many for a millennia is to sell your own things. What is one expensive thing you own that you could sell? Your other old car that you never use! Many people have one of these lying about. I know I do. I’m going to take my own advice as soon as I finish writing this. Here is a simple guide to how to sell it fast. This should be handy if you only have a few days left until the New Year. You have two options for completing this task. One of them is to simply call them using the time honoured method of using the telephone. The other is for those that enjoy filling out online forms. Most cash for car firms have forms on their websites dedicated to requesting free quotes. And this is what you will be doing. Tell them the main details concerning your vehicle. This includes the make, model, age and condition that your vehicle is in. They will use that information to calculate how much your automobile will be worth to them. After that, they should get back to you in short order with your free no obligation quote. You may like to contact a few to see who offers the most. If they are one of the good cash for cars firms, they won’t make you pay a towing company to tow your car to their premises. They will come to your place and inspect the vehicle. Once they have inspected the car, they will then make a final offer. The kind of things they are looking at when deciding how much to offer you is the condition the car is in, the age it is, and the make and model. How many parts on your car is in good enough condition to sell second hand? What is the weight of steel? These things will all be on their mind when they are deciding how much to pay you for your old second hand automobile. If you like the offer that they give you, all that is left is for you to get paid. This is the best part of the whole process. Take that money and use it to make your holidays that little bit less stressful. And remember to have a cracking New Year party as well. Get a top cash for old cars @ Wreck Monster in Sydney and enjoy! If you have a junk car that urgently needs selling, and you are looking for a cash for cars service to sell to, you have stumbled upon the right place. Wreck Monster is your best bet for getting top cash fast, and with no stress or hassle. Read more how does cash for car removal work at Wreck Monster. Why use the Service of a Car Wrecker Sydney? All vehicles reach a point where they are in such a state of disrepair that they are effectively useless. The reason can be anything from accident, to age. But the result is the same. A vehicle that will never be driven again. If this has happened to your vehicle, you may very well be at a loss as to what to do with the car in question. Never fear. You will find it very easy to get rid of that car, as all you need to do is get in touch with an auto wrecking cash for cars service. They will pay you top money for your vehicle, before taking it back to their salvage yard and breaking it up for parts and materials. How Does the Auto Wrecking Process Work? Get onto the internet and do a leisurely search for cash for car online services or car wrecking companies in Sydney. Next, contact the company that you choose. You can find out how much they will be willing to pay for your car by getting a quote. If you are happy with it, they will arrange a time and place that suites you when they can come to your place. The purpose of the visit is to do a closer inspection of the vehicle. After they look at the vehicle and give you a final offer, they will pay you cash on the spot before taking the car off to their place. The removal is usually free. Once they get the vehicle back to their site they will salvage the parts and materials that can be recycled. It isn’t unusual for a car wrecking company to boast being the best in town. However, you will want to shop around if you want to get the best company. Vehicle wrecking isn’t a job that just anyone can do. It requires special expertise in scrutinising wheels, and knowing what parts should be salvaged for resale and which can’t. There needs to be plenty of space at the yard, as well as all the correct specialised tools. If you want to get the most money you can, part of the vetting process will involve getting a few different cash quotes from different companies. The highest quote will help you make the decision of who to sell to. You will also want to ask about the different services they have. Make sure that they don’t specialise in a select few makes or models. You want a company that buys all of them, to maximise the chance that they will buy your vehicle. Be sure that they wreck cars in an environmentally proper manner, according to strict guidelines. Free removal is also a must! When the maintenance of your old car becomes too costly with frequent repairs, it may be time to replace it with a brand-new vehicle. For this to happen, you will need to sell it first, but you may not have the option to get much cash for it. So, if you want to turn your vehicle into good cash without forking out any extra money for a tow truck, you could try selling it to a professional cash for car service in Sydney called Wreck Monster. We here at, “Wreck Monster” are the leading auto wreckers in Sydney, NSW. We will happily buy your car for on the spot cash and take it away at no cost to you. With us, you will get a quick and trouble-free car removal service throughout the entire Sydney, Penrith, Baulkham Hills, Richmond, Blacktown, Ultimo, Parramatta, Campbelltown and Liverpool. We always tend to pay more cash with the help of our fast, convenient and easy cash for clunker system. Moreover, we pay a generous and accurate amount of money for vehicles of all ages and condition. Whether you have a used, new, broken, smashed or unregistered make or model, we will accept it. Here for Wreck Monster, we believe in shelling out a fair and handsome level of money for all vehicles. Therefore, when you contact us, you can expect that you will be getting paid a generous amount of cash for your scrap, junk or old car. This is coupled with free and quick cash quote with no obligations. We offer maximum cash up to $15,000 based on the make, model, year and condition of the vehicle in question. Our car removal services are based on a simple and stress-free approach. If you have an old or unwanted vehicle rotting in your garage. You don’t have enough time to remove it. Simply give us a call today. Using our simple vehicle removal services means that we will take care of everything, including the assessment of your vehicle’s worth, arranging the relevant documentation and providing you with good money before removing it. We will arrange an easy removal for your which won’t end up being expensive or causing any unnecessary trouble. You will just need to verify your location in Sydney. Our experts will reach you on time and take away your unwanted automobile after paying cold hard cash. In general, we cover all the major regions in Sydney. It includes Baulkham Hills, Penrith, Blacktown, Richmond, Parramatta, Ultimo, Liverpool and Campbelltown. The best thing about our professional cash for car services is that they buy all makes and models from all manufacturers. Our experienced professionals have good knowledge about all sorts of automobiles. Even if you have a damaged vehicle. It may have some parts and materials that can be salvaged and reused. Thus, we never discriminate any specific vehicle based on its make, model or brand. This goes for all such great brands like – Holden, Toyota, Mazda, Kia, Lexus, Nissan, Suzuki, Dodge, Isuzu, Subaru, Chrysler, Jeep, Honda, Hyundai, Daewoo, Chevrolet, Audi, BMW, Ford, Volkswagen, Mercedes Benz, Ford and so forth. If you really want to sell your scrap car for the best price in Sydney, make sure to get started and avail our services now. Simply request a free cash quote from us, by using our online form given on our website or give us a free call on – 0478 682 103. Our representative will get back to you within 24 hours to offer you a smooth service. If your Mazda’s best days are well behind it, you won’t be blamed for wanting to give it an honourable send off. And what better way to do that then via the most environmentally sound and safe methods of disposal, used by none other than Mazda wreckers. It is now common knowledge that our environment has undergone a lot of change, mostly negative, as a result of industry and cars. At Mazda wreckers there is a concerted effort to be the solution instead of the problem. Most of Japanese Wreckers use only the most environmentally friendly practices when it comes to the proper disposal and recycling of Mazda’s. They use tools and machines that help them in this mission. The following is a handy list of other benefits that you can enjoy through enlisting the help of the Mazda dismantlers to dispose of your Mazda. You won’t have to lift a finger when it comes to the removal from your property of the old Mazda languishing on your property. The pick-up and removal of your Mazda will be handled completely by Mazda Wreckers. They will come to your property and haul it off, and there will be no monetary charge for you to contend with. It isn’t just the fact that this service is completely free that makes it the best and most popular method of Mazda disposal. It is also the great fact that Mazda Wreckers will actually be buying that old car from you. You don’t just get free removal, you also get paid. If this sounds right up your alley, you won’t have any trouble contacting them, as all it takes is a simple phone call. Alternatively, if you want to contact them online, there is a form on the main page of their website that you will find easy to fill out. Do you need to fix your Mazda, but you don’t want to starve for a month in order to afford to buy it? No worries. Mazda dismantlers have a giant selection of used parts. They are all high quality, as well as being extremely affordable. Mazda Wreckers are in the business of salvaging junk cars for a living so they have amassed a veritable smorgasbord of used parts for you and others to find the parts you need in. You don’t have to pay through the nose anymore if you want to buy a part. Most people buy their parts from Mazda Wreckers. Join them today. The kind people at Mazda Wreckers have a wealth of experience in the car recycling business, and they follow the strictest guidelines when it comes to making sure that all cars are disposed of properly. It is important to know that your car has plenty of toxic materials in it. If you want these materials to be recycled or disposed of in the correct manner, you can’t go wrong with Mazda Wreckers. If you are taking your vehicle on long trips in the middle of a particular barmy summer in Australia, you may find yourself being more susceptible to engine overheating. An over-heated engine runs the risk of permanent damage. 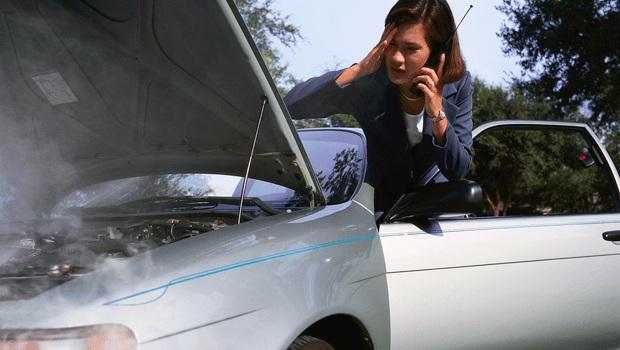 Often-times, insurance companies will not pay out for any kind of engine damage. If you ever have the misfortune of needing to have your engine replaced, you will know first-hand that it is usually better to just get rid of the whole vehicle to the Melbourne auto wreckers. The engine system has a cooling system inside it, as you probably already know. And it relies on coolant to be circulated throughout it using a water pump. As you can guess, your engine needs this pump to be working otherwise it won’t have anything cooling it down. If it isn’t working, you can expect some overheating to result. You need to have that thermostat working properly. If for any reason it isn’t working properly, you will be on the fast-lane to having a vehicle whose engine is ruined due to over-heating. This is because it signals the driver that the coolant system needs to be turned on. Furthermore, the manufacturer of your vehicle will have recommended a specific coolant for your car. Using a coolant that hasn’t been recommended is just asking for trouble. Over-heated Engine type-trouble. You have been warned. Take heed! There are many points within the cooling system where leaks can spring up unexpectedly. This includes such greats as the hoses, the pump the freeze plugs, the gaskets and even the thermostat. Leaks are bad, as you can well guess. Your cooling system will be compromised and won’t work correctly as a result. Trouble will be just around the corner, and before long you will have an overheated engine. The business of driving draws in all kinds of foreign materials into to the inner workings of the engine’s systems. They are tiny and insignificant, but they can build up and create blockages. Tubes, hoses and fins in the cooling system are places where this is most likely to occur. When this happens the vehicle can’t cool itself and the radiator can fail. What does one do in the event of overheated engine? Keep your eye on the thermostat. This can be located on the dashboard, in case you didn’t already know. In the event that you have noticed the engine is getting a bit hot under the collar, there are things you can do to protect it. Finally, park your car somewhere there is plenty of shade. Often trees will provide a lot of shade. If you are in the middle of a desert and there is nothing throwing shade anywhere, don’t worry, these things are outside of your control. Next, open up the hood of the vehicle. Avoid getting burned by not removing the radiator cap. The car will cool down eventually, and once you have determined that it is sufficiently cooled you can put more coolant into the system. Always keep extra coolant on hand. Some water can also come in handy too. The amount of options you have for getting rid of an old vehicle for maximum dollars are plenty. But if you want the most stress free and convenient method, you need to get in touch with your local Cash for Car Company. They are usually operated their services twenty-four hours a day, and they will pay you the best price for your used car. This method is the most traditional. It requires for you to put advertisements up on the internet, buy sell and exchange papers and so forth. The main point here is that you are going to have to be honest about the state that it is in. This will make selling it a hard slog if the vehicle in question is in an exceptionally bad state of disrepair. You will find that you won’t get much money. If you don’t mind putting a lot of effort in, and you have all the tools and know-how necessary, this will be the one for you. First, you need to disassemble the vehicle, and then you will be required to store all the parts somewhere while you go about finding buyers. You will need to advertise. The main problem with this course of action is that most people don’t have the tools or expertise to pull it off successfully. If you jump into this without any skill or knowledge you risk making a giant mess and losing a lot of money. Selling to a Cash for Car Company is possibly the most convenient and hassle free plan of enterprise concerning the selling of an old and unwanted clunker. All that is required of you is the effort involved in getting in touch with them. Once you have furnished the good folk there with the age, make, model and condition of your car, they will happily come over, pay you sweet cash on the spot before removing the vehicle for free. Your car has a lot of metal in it, and all of that metal is worth money no matter what condition your vehicle is in. Selling to a metal scrap company will get you some dollars. They won’t pay more for parts that are in good condition that happen to be on the car, though. They are just going by scrap metal prices. You can lose out on money this way. You will also have to pay to have the car transported to the scrap yard. So there it is! Those are all the methods out there for selling a car that is no longer of any use to you. Hopefully now you can make an informed decision pertaining to your plans for how you are going to dispose of the automobile that you once loved.